Oxnard, CA Oct 4, 2016 From The Heart Productions, the 501(c)3 non-profit with a mission to help filmmakers get their films funded, has awarded the Roy W. Dean Spring Film Grant of 2016 to the feature documentary, The Coverup, and its mother and daughter filmmaking team of Lynn Pelletier and Malina Fagan. For winning the grant, they will receive $30k in cash, film products and services to complete their film. Started in 1993, the Roy W. Dean Film Grant is awarded 3 times each year to films that are unique and make a contribution to society. There is a Spring, Winter, and Fall Grant. The grants are open to all types of film projects including documentaries, short films, features, and web series in any stage of production. 225 films were submitted for this year’s Roy W. Dean Spring Film Grant from the United States and around the world. 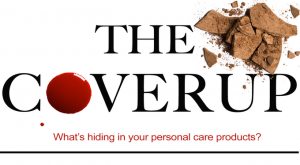 “The Coverup” reveals that the average person is exposed to about 126 chemicals a day, just from their cosmetics and personal care products (soap, shampoo, deodorant, toothpaste, makeup, etc.). Scientists have linked some of the chemicals to serious health effects including cancer, infertility, and birth defects. The documentary seeks to empower consumers and companies alike and challenge our government to protect the public. Filmmakers Lynn and Malina had previously applied several times to the Roy W. Dean Film Grant. Like all other applicants, were given a free consultation to improve their application. They persisted and made the appropriate adjustments and eventually won the grant. “The Coverup” reveals that the average person is exposed to about 126 chemicals a day, just from their cosmetics and personal care products (soap, shampoo, deodorant, toothpaste, makeup, etc.). Scientists have linked some of the chemicals to serious health effects including cancer, infertility, and birth defects. The documentary seeks to empower consumers and companies to challenge the government to protect the public. 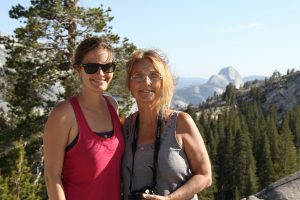 Lynn Pelletier and Malina Fagan are the dynamic mother-daughter duo behind “The Coverup”. Lynn is a health practitioner of over 30 years who specializes in acupuncture and allergy treatments. Malina is an award winning filmmaker who is passionate about health, the environment and human empowerment. Having lost several people in their family to cancer, they are committed to raising awareness of environmental toxins and disease prevention. Malina’s films have premiered in IMAX at the Denver Museum of Nature and Science, aired on Rocky Mountain PBS, and been selected at festivals across the country, winning awards for their cinematography and storytelling. For winning the Roy W. Dean Spring Film Grant, they will receive $3,500 cash donated by From The Heart Productions. The grant also includes a hard drive from G-Technology, tape stock from Media Distributors, discount on color, editing and production services from Promedia, equipment rental from Alpha Cine NY, and much more from many heart-felt donors. Now in its 23rd year, the Roy W. Dean Grant has awarded over $2,000,000 in cash and donated film services to films. The grant has been an important lifeline for filmmakers needing help to continue working on their film and to get it completed. Without assistance from the grant, many excellent and important films may never have been made. From The Heart Productions is a 501(c)3 non-profit dedicated to helping filmmakers get their projects funded and made. Besides providing funding through the grant, they are also a fiscal sponsor which allows donations made to films they sponsor to be tax deductible. From The Heart has raised over $2.3 million for crowdfunding films as a partner with Indiegogo. President Carole Dean is the best-selling author of The Art of Film Funding: 2nd Edition, Alternative Financing Concepts. This entry was posted in Film Grant News, Uncategorized and tagged documentary, film grant, roy w. dean grant, The Coverup by Richard Kaufman. Bookmark the permalink.